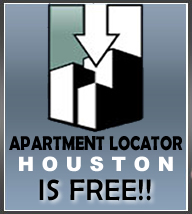 We will Help you find the Houston apartment you want. Our experienced Houston real estate agent will find you the apartment that suits all of your needs, including price range, number of bedrooms and even a great location from our Houston apartment listings . We can get you a nice sky-rise apartment in the middle of downtown Houston, Texas or we can find you a nice apartment in a quiet and peaceful area. All of our apartments are approved by our knowledgeable staff before we show you them. Apartment Locator Houston offices and experienced agents to help you. Give us a call today or fill out our contact form. As a well established Houston apartment finder, we can help you with almost any issue or need you may have. NO Charges or Hidden Fees.